I was honored to join with my fellow congressional colleagues and other stakeholders at an official press conference in front of the U.S. Capitol to discuss the consequences of repealing the Affordable Care Act. As a doctor, I know many people in our community are concerned about the future of their health care and rising costs. Nobody should have to worry that one unexpected medical bill could threaten his or her future. People in both parties must focus on real solutions to address the health care challenges people are facing. Unfortunately, that hasn’t been the case lately. President Trump and many Washington politicians have tried to repeal the Affordable Care Act. The Administration has also made a number of decisions regarding how they will implement the law. We can’t keep playing politics with people’s lives. Instead of more Washington games, we need to fix what isn’t working and make it better. “When I lost my job 9 months pregnant with my first child, the ACA was the only affordable option available to me.” — Elizabeth, from Sacramento, shared with me how repealing the Affordable Care Act would harm her family. You can click here to read her full story. Health care isn’t about politics, it’s about people’s lives. It’s more important than ever for politicians in Washington to understand that. That’s why when Washington politicians pushed to repeal the Affordable Care Act, I asked local residents to share their health care stories with me. And hundreds of you did. 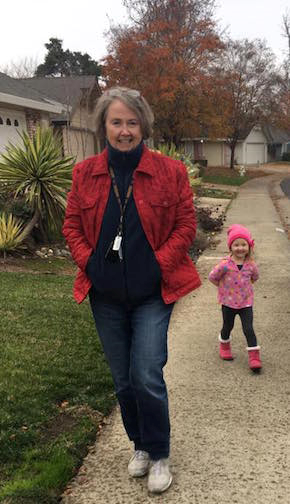 “Without the ACA, I would have been without insurance for the year before I turned 65 and qualified for Medicare.” – Nancy, from Elk Grove. You can click here to read her full story. "I work for [a local home health and hospice provider]. We used to have patients who had no insurance, but needed home care. We took them as charity cases… That was before the ACA. The incidence of charity cases went way down after that. I cannot recall the last one because it has been so long since we had to accept someone without any insurance whatsoever. Please keep our neighbors insured.” — Tracy, from Carmichael. You can click here to read her full story. But that’s not all. The Administration has also made a number of decisions regarding how they will implement the Affordable Care Act. These actions — from cutting enrollment outreach, to ending payments that lower deductibles and out-of-pocket costs — are sabotaging our nation’s health care system. These political games have led to higher costs and lost coverage. That’s why I’m pushing a Prescription to Protect Our Care to put forward real health care solutions for Sacramento County families. We need to protect Americans’ health care, expand coverage, and reduce costs for consumers. Patients and doctors should be able to make the best decisions for their own circumstances. Instead of this reckless approach, we need to focus on real solutions that put patients over politics. My congressional colleagues and I came together at the U.S. Capitol to unveil our new health care plan to provide real solutions. To protect people with preexisting conditions and reduce the uncertainty in the marketplace, I came together with my colleagues in the New Democrat coalition to put forward a plan with commonsense steps both parties can agree on. Later, I joined with both Republicans and Democrats in the Congressional Problem Solvers Caucus to agree on the first bipartisan plan to fix the law. Protect people with preexisting conditions: We need to keep covering people with preexisting conditions as we balance costs. We need a dedicated reserve that makes sure premiums stay affordable and helps offset the costs of extremely high medical expenses. Keep costs down for families: The Trump administration has made several changes regarding how the Affordable Care Act is implemented. One of these changes is to no longer deliver payments that help lower deductibles and out-of-pocket costs for families. This has created uncertainty in the markets and sharp premium increases in some areas. We should guarantee these cost sharing reduction payments to lower costs and ensure stability. Care for both the sick and the healthy: We need to do a better job helping younger, healthier people get coverage. Covering more young people balances the folks with higher health care needs and helps lower costs for all. We should invest in outreach that targets younger, healthier people to help get them covered. Create more affordable options: Families need to have more affordable choices that work for them. That’s why, for instance, we should consider allowing people near retirement age the choice to buy into Medicare. We should also ensure younger people can access lower cost insurance plans that better fit their needs. These are just a few steps that we can take right now to increase competition and choice for families and seniors. Make smart fixes: Finally, we need more innovation to help people get health care at a lower cost. We should give states more flexibility to find ways to improve health care while keeping strong rules in place to protect patients. States should have freedom to experiment and find solutions that work best for them. There are steps we can take right now to expand coverage and lower costs. But health care is extremely personal, so a one-size-fits-all approach won’t work for everyone. The Pathway to Universal Coverage Act helps states enroll people in health coverage. By automatically connecting folks who qualify for financial help under the Affordable Care Act to afford a health plan, we can expand coverage to millions who are already eligible for help but haven’t signed up. Under this bill, consumers would have total control and could opt-out if they find something that’s better for their own situation. The Easy Enrollment Act would maximize coverage by aligning health care open enrollment with tax season. Right now, enrollment is during the holidays when folks are busy and the most financially strained. By aligning tax season and open enrollment, families will have the most up-to-date financial information to make informed decisions. This simple fix could improve the lives of millions of Americans. My job is to work with people regardless of party on real solutions that’ll actually make a positive impact in people’s lives. That’s what Making Government Work for Sacramento County is all about. You can click here to learn more about how I’m working to improve health care or click here to see how you can contact my office. Listening to you is my most important job. Read the detailed New Democrat plan here.